Battle for the living room. Apple vs Windows vs Google. These three companies are battling it out in a number of arenas, phones, TV, PC/mobile operating systems and each time one of them launches something the others follow, they take turns. 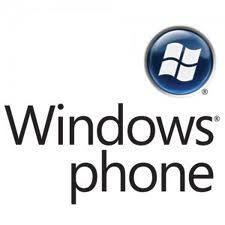 Well I was thinking about the launch of the new Windows phone 7 the other day and how it compares to the iPhone and the same thing came back to me..I am all in with Apple, so even if it’s brilliant I won’t get one. It goes further too, at home I have 3 sets of speakers for Apple, I have Airport Express, an iPad and close to getting Apple TV so if Apple actually allowed me to seamlessly link this all up, which they don’t, then that’s my house completely apple-fied. I am talking hardware and systems I guess, the actual programs and sites they carry whether it be Facebook, Linkedin, Twitter etc should all be universally accessible but the systems that carry them? Some believe that eventually all these platforms will communicate, that consumer pressure will make it so, but I am not so sure. Apple has not bowed to pressure from it’s own customers to get its equipment talking to itself, so what chance getting it to talk with Android or windows. Further proof of this is the fact that Windows Live is aggregating FB feeds and messenger from Yahoo but point blank refuses to include Gtalk. So actually these brands are not fighting for a phone marketplace, they want your home! Microsoft have the phone, PC and Xbox. The Xbox is basically a home entertainment centre with streaming movies, music, links back to the phone as well as catch up TV and Facebook messenger etc so they have a great foot hold. This all leaves Google without the physical foot hold on your room until that is Google TV. So in a few years I think you will need to choose who your team is, that way you will have a seamlessly linked home and mobile experience. Question is, which team are you backing? I am in too deep with Apple now so that’s easy, but who knows, maybe Apple will let me pull up my itunes music on my Xbox? No chance! !